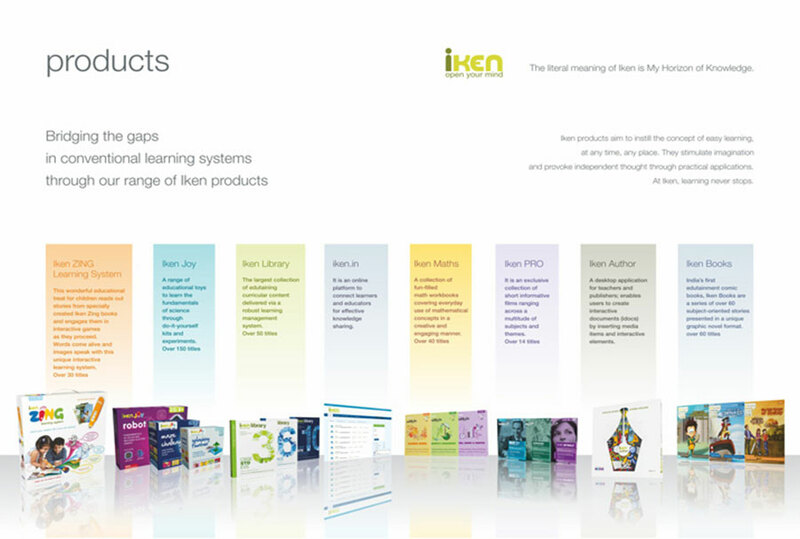 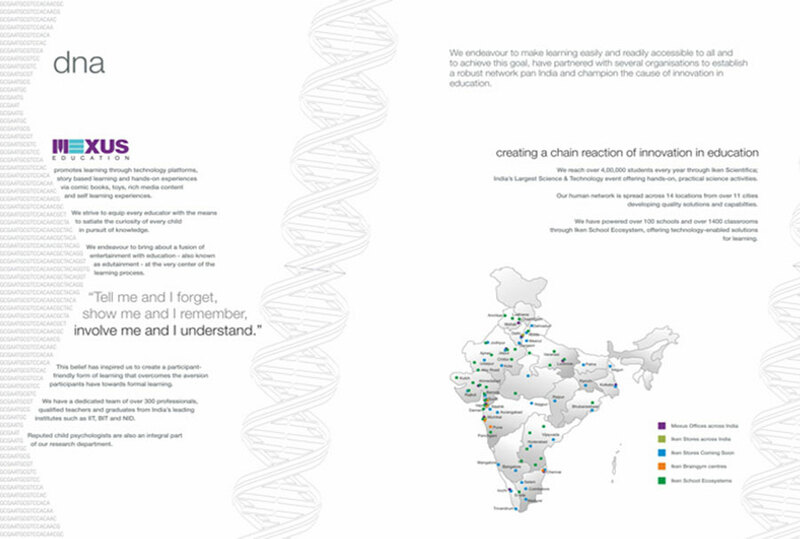 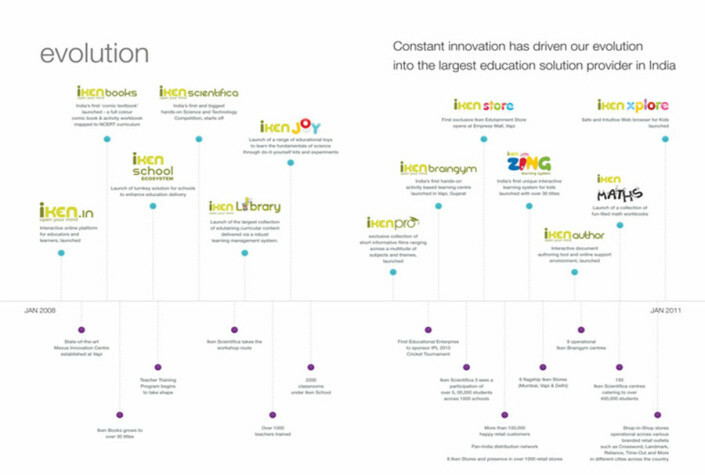 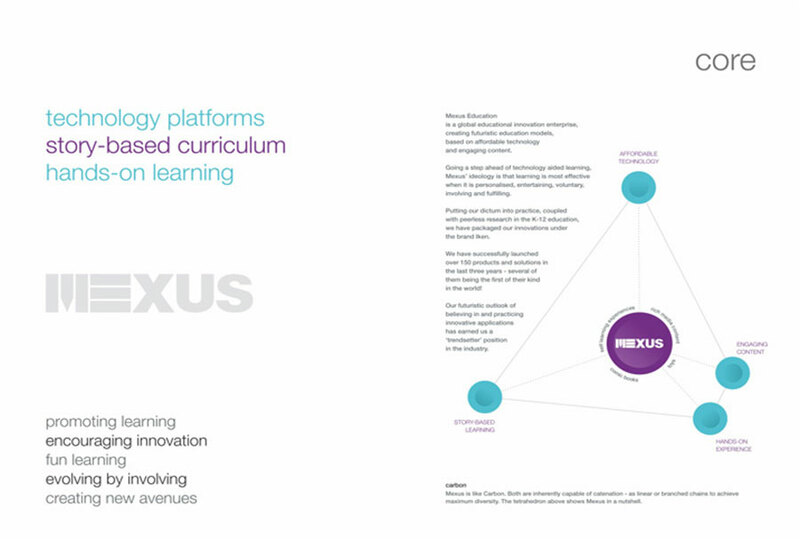 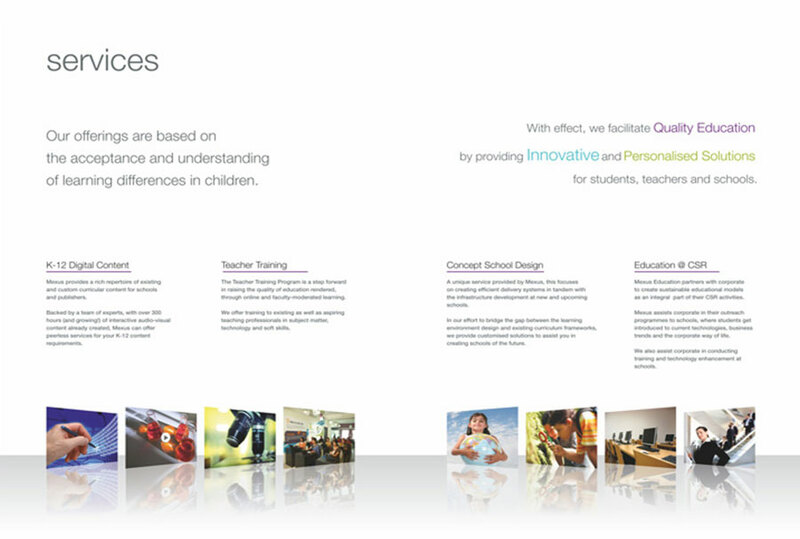 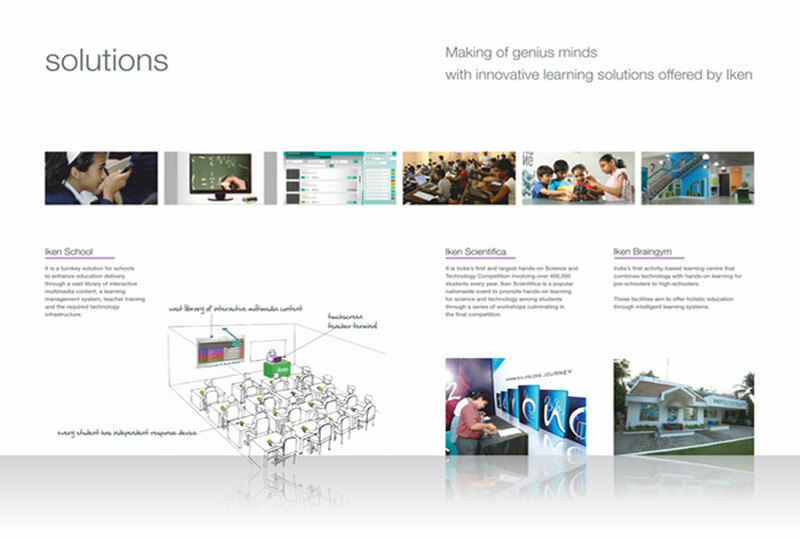 A new but giant entrant to the edutainment sector in India, Mexus needed a new corporate brochure that showcased its core and the products and services offered. 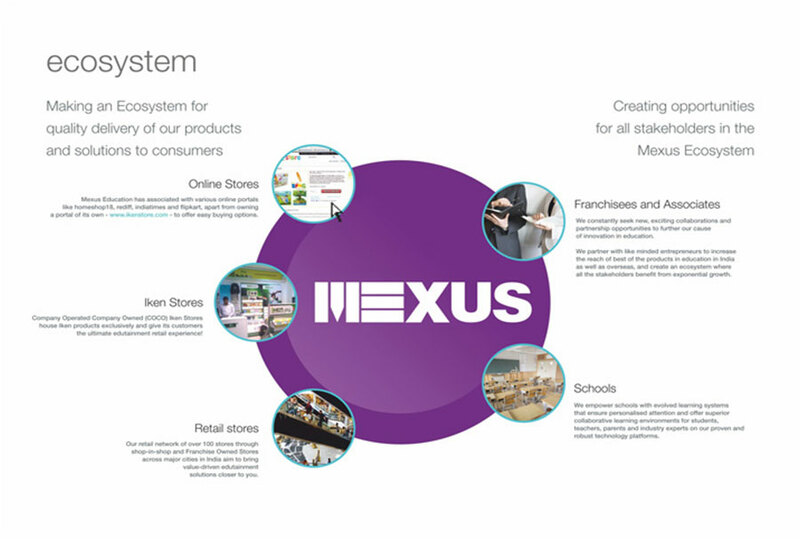 Considering the nature of business of the company, we decided to introduce the universally known concept of carbon and its ability of catenation – the perfect analogy for Mexus, whose mix of products and services are complementary and, to some extent, involving and growing with participation of its users and academic content contributors. 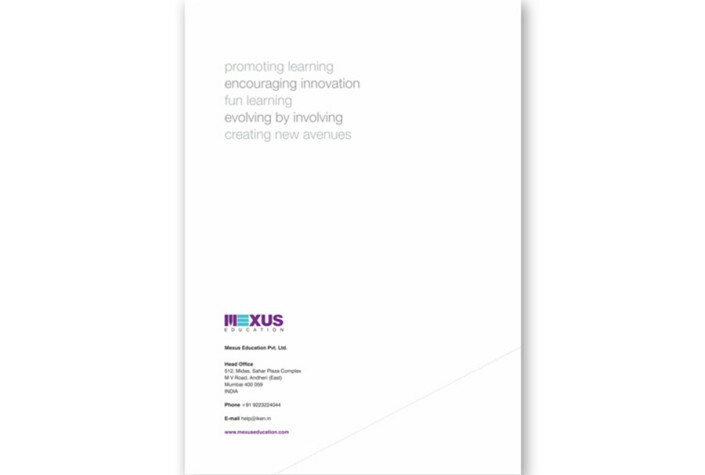 What evolved was a sleek brochure that gave a complete overview of the Mexus brand, its offerings and its vision for the future.